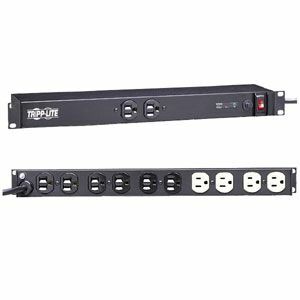 Tripp Lite's ISOBAR12ULTRA offers network-grade surge and noise suppression in a versatile all-metal multi-mount cabinet. Detachable mounting flanges are configurable for rackmount, wallmount and under-counter installation. 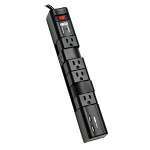 Uses only 1 rack space (1U) when installed in any 19 inch EIA standard rack. 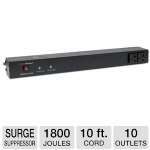 Features the highest level of AC surge and EMI/RFI noise suppression of all Tripp Lite rackmount surge suppressors. 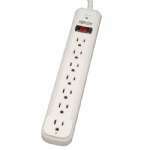 Outlets are arranged in exclusive isolated filter banks to limit noise interaction among connected items. 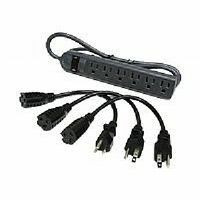 Includes 12 outlets (2 front / 10 rear), 15 ft AC power cord and guarded power switch to reduce the risk of accidental shutoff. Diagnostic LEDs indicate AC present, line fault and protection status. 1.75" x 17.5" x 4"